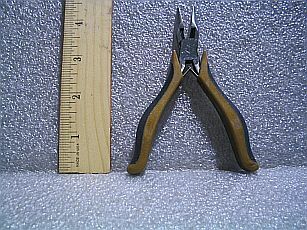 This is a miniature set of (4.5") needle nose pliers. Rubber ergonomic handle makes them more comfortable to grip. Shipping weight for this item is 1.1 pounds.